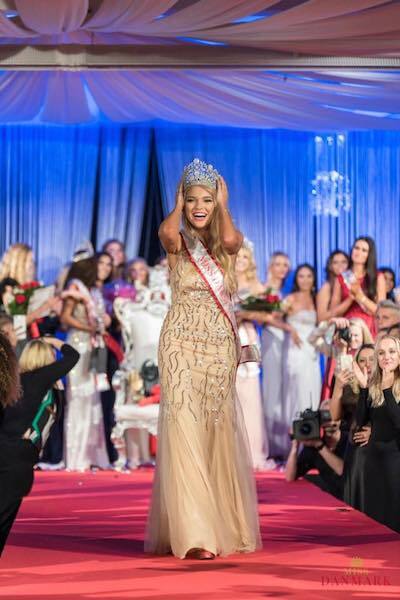 Amanda Petri was crowned Miss Danmark 2017 this past weekend. She is 20 years old, stands 1.74m tall and will represent Denmark at the 67th Miss World final on November 18th in Sanya, China. The first runner-up was Shania Iversen and the second runner-up was Simone Gadegaard Andersen. Mille Malihini Jul and Sabrina Jovanovic finished in fourth and fifth places respectively. She is pretty. Good choice, Denmark!